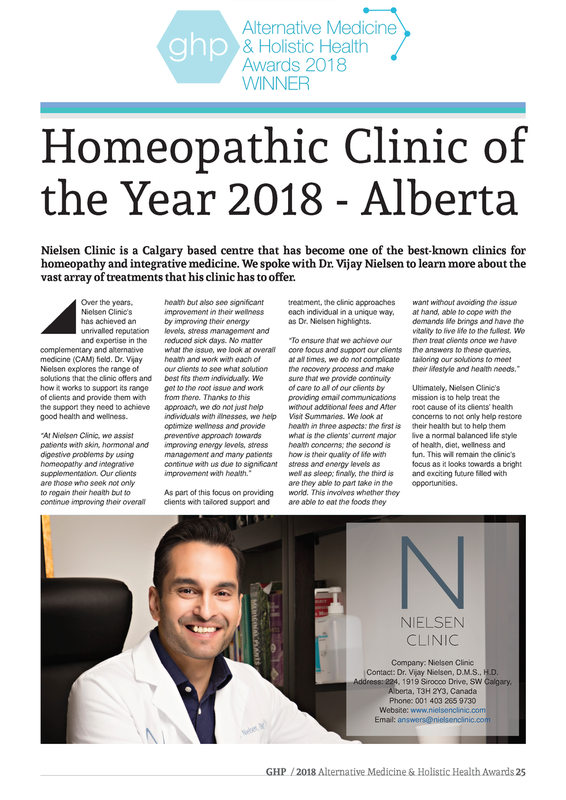 Dr. Vijay Nielsen (Bio) - Selected by LUX Magazine as well as the Best Holistic Centre in Calgary and Top Homeopathic Clinic in Canada. 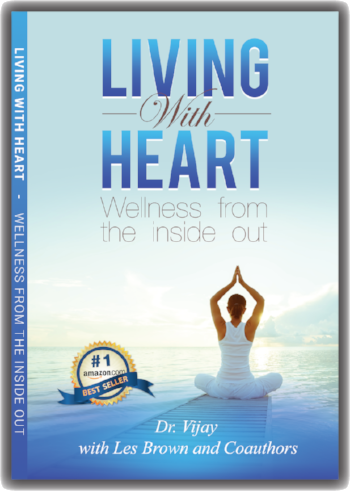 Dr. Vijay Nielsen has earned this through helping patients regain their health and wellness. Experts weigh in on what works, and what doesn’t. A look at the top local doctors and medical industry professionals who go above and beyond the call of duty in giving extraordinary care. Your passport to better health begins here. LUX Global Excellence Awards are purely based upon merit. LUX Global Excellence Awards, is a stamp of excellence, and all award winners are part of an exclusive and illustrious group comprising of some of the most influential names in the luxury markets. Global Health & Pharma Magazine 2018 Alternative Medicine & Holistic Health Awards is given to professionals from across the globe, who prove antibiotics and chemicals are not the only solutions when maintaining one’s health. LUX Health, Beauty & Wellness Awards celebrates the leading lights of this dynamic industry. Every year this sector continues to evolve and grow rapidly. LUX has selected Nielsen Clinic due to its commitment to clients, innovation and inspiring change in the healthy, beauty & wellness industry. Nielsen Clinic, providing an integrative approach to medicine with a holistic approach. By using the best system of alternative medicine (homeopathy, acupunture & psychology) we get to the root of health issues. © 2005-2018 Nielsen Clinic. All rights reserved.